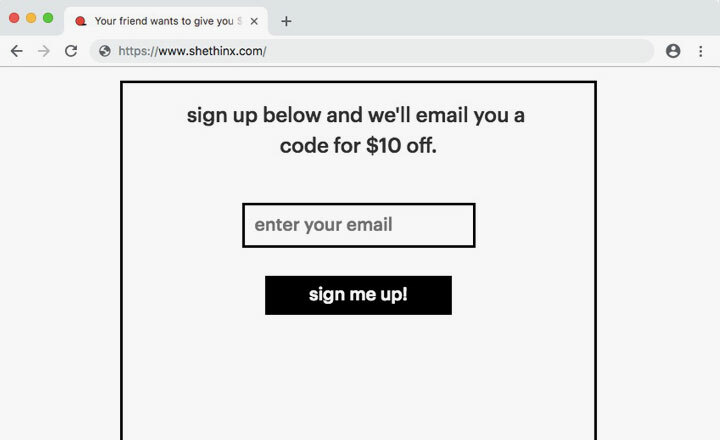 Here’s my link for the Thinx refer a friend program. 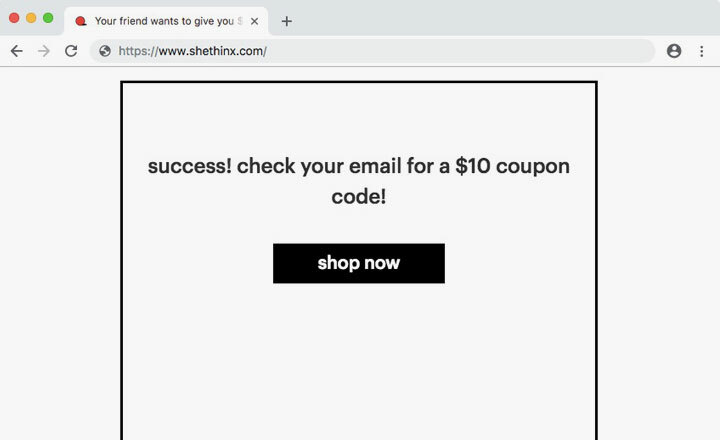 With it, you can receive a $10 coupon code to your mailbox that can be used for any ShetThinx.com purchase! 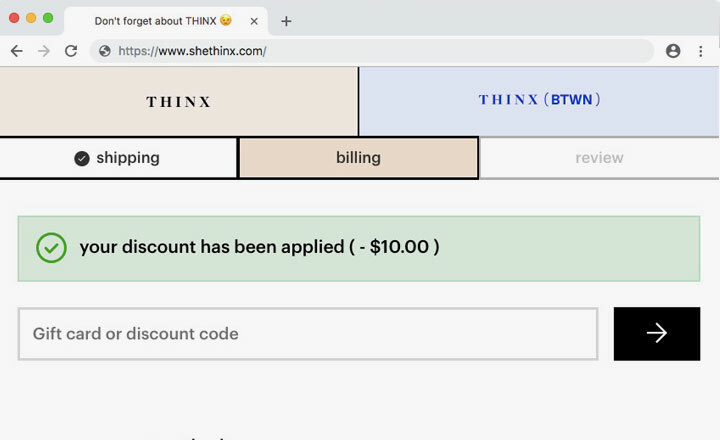 Use this link to get the $10 discount code for Thinx. See below for step-by-step instructions on obtaining your code. After you’ve clicked on my refer a friend link, you’ll see this page. "Your friend just gave you $10!!!". Then, just scroll down on that page. Sing up below (sorry, new customers only). Check your email in an hour or two for a $10 discount code. 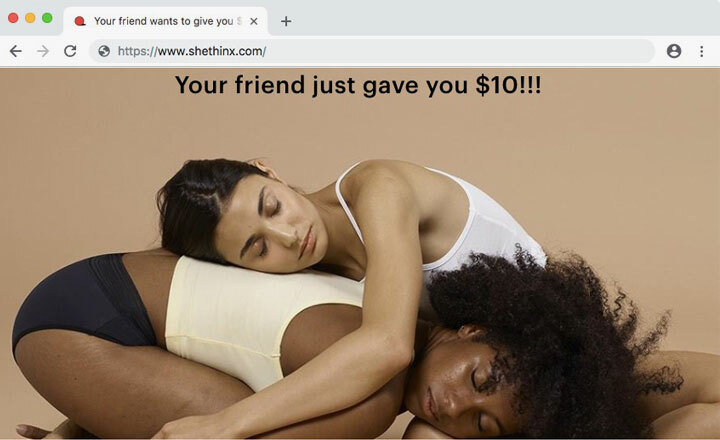 When you purchase, the friend who referred you will get $10, too! Please note! When I did this I received the code to my email box instantly. So there was no need to wait for an hour or two, as mentioned on that page. Next, just fill in your email address and “sign me up”. "Success! Check your email for a $10 coupon code!" And you can continue to shop now while waiting for your email. This is what the actual email looks like (code removed, get your own!). 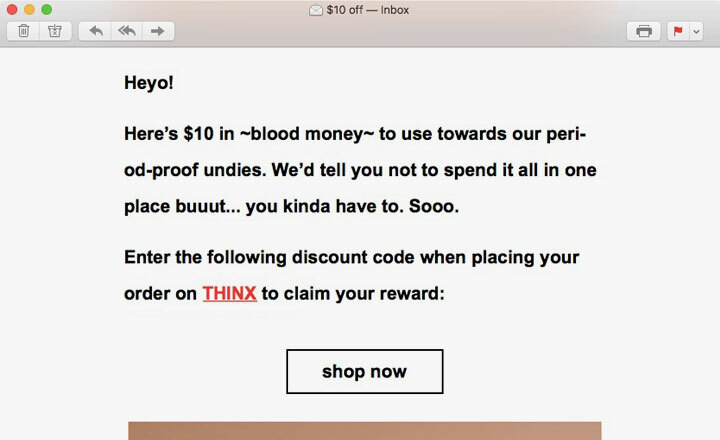 Here’s $10 in bloody money to use towards our period-proof undies. We’d tell you not to spend it all in one place buuut… you kinda hve to. Soooo. Enter discount code when placing your order on THINX to claim your reward. Once you’ve selected what you want to buy (new accounts only), enter the code in the input field where it says “gift card or discount code”. "Your discount has been applied (-$10.00)." You can only use one coupon per purchase on one new account. Any questions, feedback on Thinx underwear please? And, do let me know below if this worked! 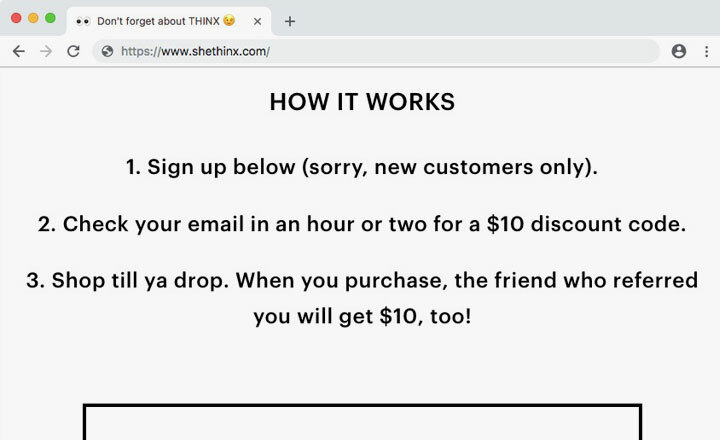 Please note, Thinx is sometimes known as SheThinx.. Previous How to Fix Piwik 500 Internal Server Error & Correct File Permissions!